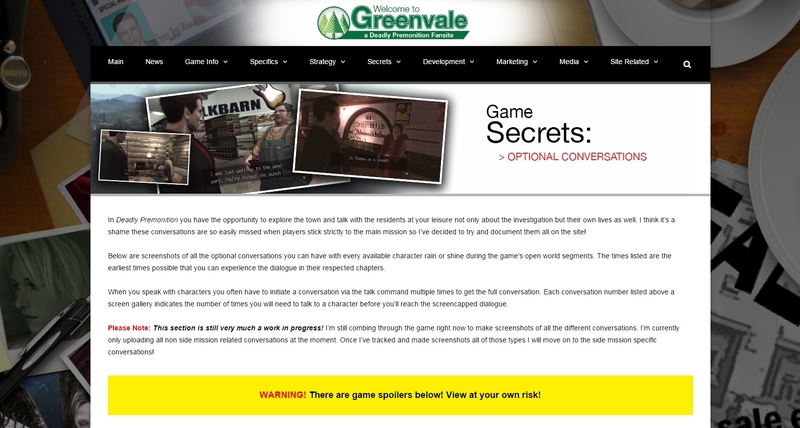 Now that my guide is pretty my done I’ve decided to start another large project for the site and attempt to document every optional conversation in the game. I feel these conversations really flesh out the town and characters and it’s a shame that they are so easily missed when players stick strictly to the main mission! Man I bookmarked your page 6 years ago. Still not played the game past the 30 min I booted it up for in 2010! Just updated laptop and going through old bookmarks. Pleased to see this alive. Nice to see the love going into this site. I loved Twin Peaks and I love the feel of this. One day, I’ll play the damn thing. HaHa.